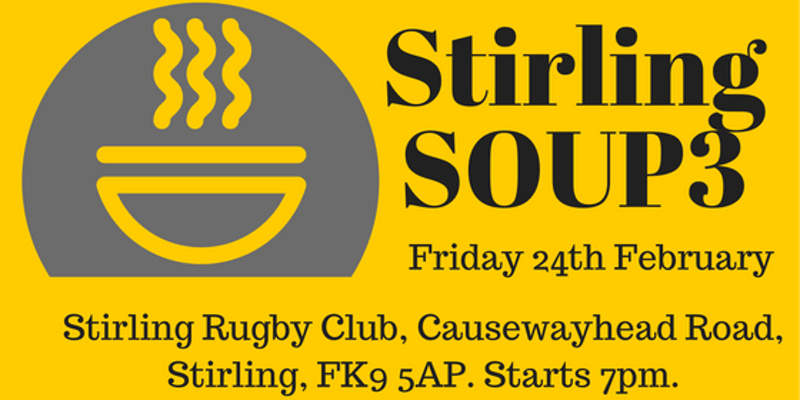 ‘Stirling Soup’ is a community crowd-funding event, bringing together local people to support projects that improve our local area. It’s a really simple concept, based on an idea that started in Detroit, US, and has since spread all over the world. 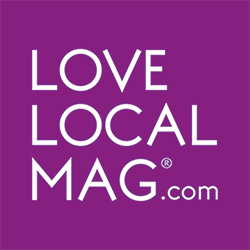 Donate £5 (or more) to come along to an evening of live music and soup, listen to 4 or 5 pitches from local people who have an idea / project to make Stirling a better place to live, and vote on your favourite. At the end of the night, the winner takes away all of the donations to invest in their project (and returns to a future event to update us all on its progress). At our May SOUP we donated £650 to Start Up Stirling, who’ll be back to tell us about the impact of winning. It’s free to book your ticket via Eventbrite (it helps us figure out how much soup to make!). On the night, please bring along a donation of £5 or more to secure your soup and your vote! All proceeds go directly to the cause or project with the most votes on the night.